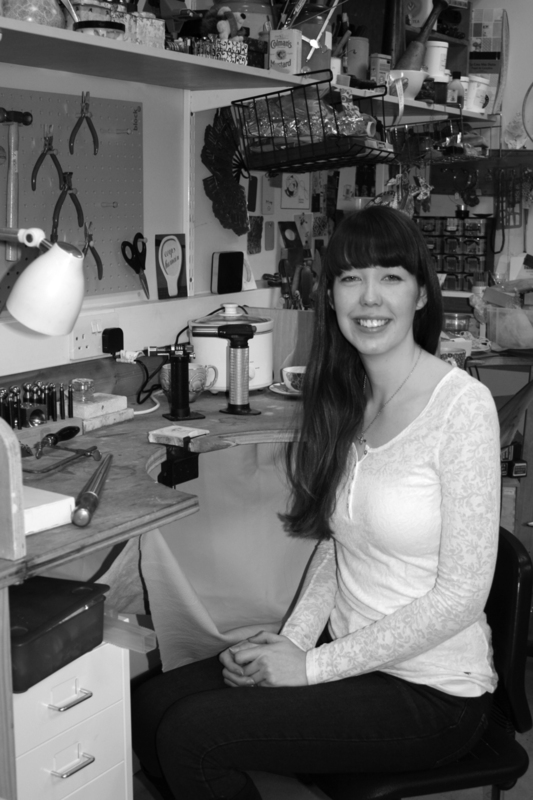 Working from her Summerhall studio in Edinburgh, Megan creates all her jewellery by hand using traditional silversmithing techniques. A graduate of Edinburgh College of Art and keen traveller, Megan's current collections are influenced by trips to both Vietnam and France. The 'Mai Chau' collection takes inspiration from the beautiful food markets of Vietnam and features tiny silver bowls with delicately pierced patterns, gold chopsticks and miniature spoons. The title comes from the scenic villages of Mai Chau which are surrounded by lush paddy fields and offer a more traditional way of life. Featuring spectacular circus performers and glamorous burlesque girls pierced from sterling silver, 'La Belle Epoque' is a collection which captures the exuberance of Paris in the early 1900s. The whimsical image of a girl floating on a paper moon looks like a star act at the Moulin Rouge. Summerhall jewellery studio in Edinburgh. Intricately sawpiercing silver sheet to create tiny acrobats. Doming silver to create a tiny bowl featured in the 'Mai Chau' collection. 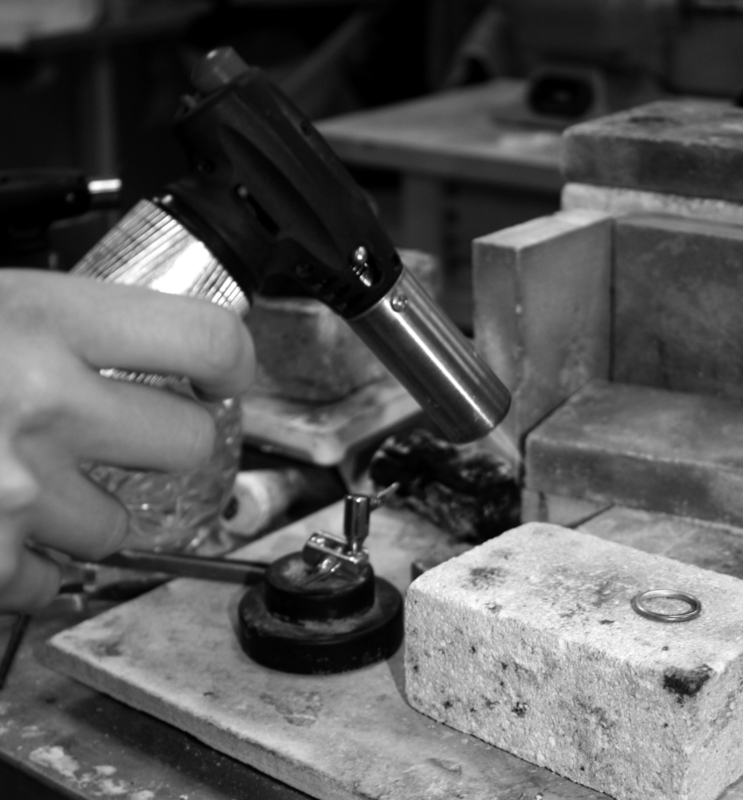 Annealing a ring in order to soften the silver and make it ready for shaping.